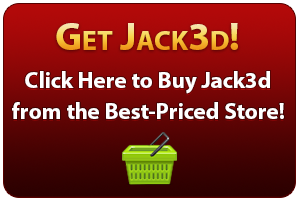 Question: I’ve been using Jack 3D for a year already (on and off) very impressive of course. Just wanted to clarify if all Jack3D should be consumed with a maximum of 3 scoops in any 24 hour period? I ask this because I was able to buy two (one previously and one using now) with note DO NOT EXCEED 2 SCOOPS IN ANY 24 HOUR PERIOD. did you ever release any Jack 3D with 2 scoops only per 24 hour period? The original Jack3d has a dosing of 3 scoops max, and the newer Jack3d Micro has a dosing of 1-2 scoops with a 2 scoops max. I just confirmed the above statement with USPLabs marketing. So make sure you’re talking about the right product, as they are nearly completely different. Start low for a few workouts (smaller people can even use less than a scoop), and then slowly build up towards 1.5 and then 2, if needed. Stick to what works for you. I am almost always in 1.5 scoop territory. But with Jack3d Original, never go over 3 scoops within a 24 hour period. 2 scoops for Jack3d Micro. This extends the life of the bottle, and helps your adrenal and CNS system stay properly tolerant. Note that the formula hasn’t changed in several years. The label does occasionally change, though, with small things as discussed here. If 2-3 scoops aren’t doing it for you, you might want to consider cycling off for four weeks because that amount should be powerful for just about anyone. Have you done that (cycled off) recently? 8 weeks on, 4 weeks off is the standard (in the entire industry, in fact).